Leo Fender's 1957 dual coil pickup design, faithfully reproduced in this vintage-correct pickup. The SPB-1 is a great pickup with a classic design. 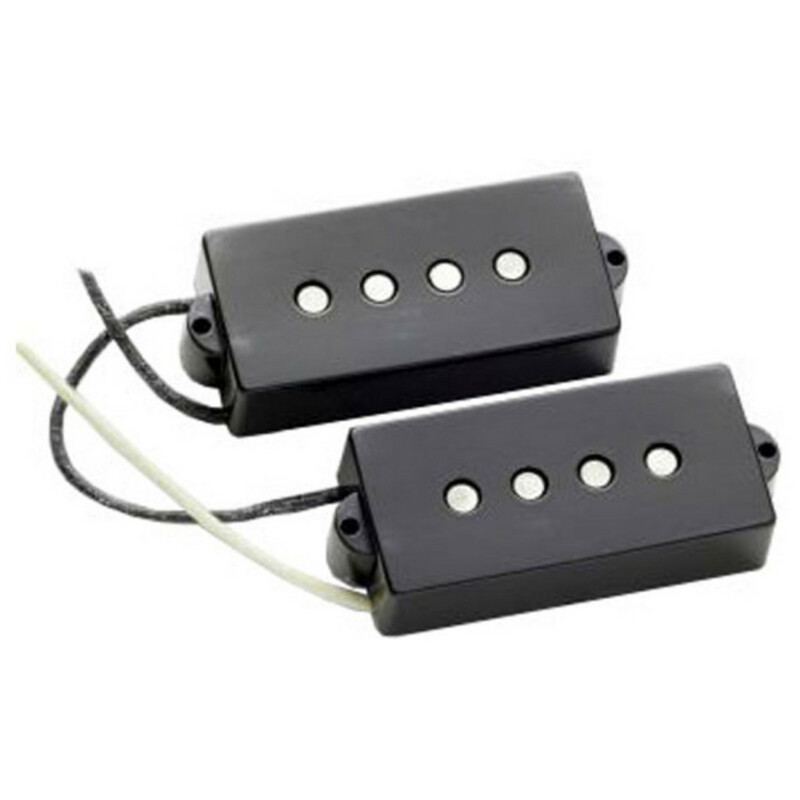 Seymour Duncan SPB-1 Vintage is a vintage-correct pickup, designed for the Precision Bass. It's great for country, pop, blues, and classic rock. Players of the SPB-1 include Dana Strum (Slaughter), Mark Griffiths (Hank Marvin). The SPB-1 is designed as a faithful reproduction of Leo Fender's 1957 dual coil pickup design. It possesses the same hand-fabricated forbon bobbins, thes same plain enamel wire, the same hand ground, sand-cast magnets. It boasts the same great "warm 'n woody" tone and it comes with waxed cloth hookup cable and non-logo covers.